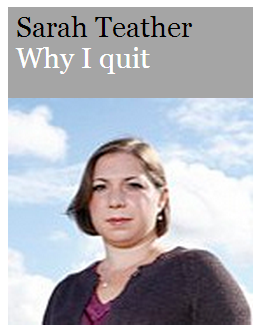 The only problem is that Sarah didn’t quit. She was sacked as a junior education minister. And she’s still a sitting MP drawing an MP’s salary and claiming MP’s expenses. Which makes that headline one of those – oh what is that technical word newspaper journalists like to use for this kind of thing? Oh yes, that’s right, I remember now.